When it's cold out you don't want to do much, let alone dress up to brave the uncertain weather. 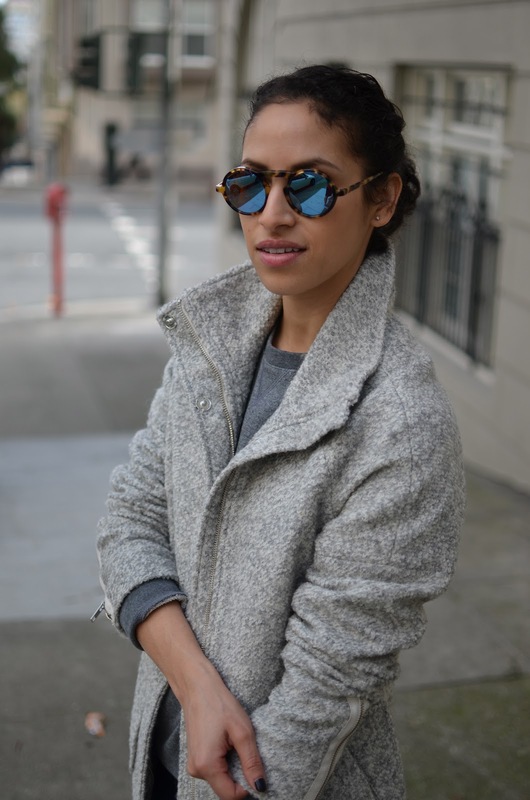 Thank goodness for large coats to keep out the chilly weather and still look polished. Back to the grind after the stateside Thanksgiving holiday, how was everyone's long weekend? That's such a pretty coat. Love it. I'm always searching for good coats that can work with multiple outfits. Love your look! I completely agree with you! Thank goodness for fabulous coats.... it makes it easy to look fab some days! The coat is gorgeous. Love the socks peeking out! Love everything about this look. 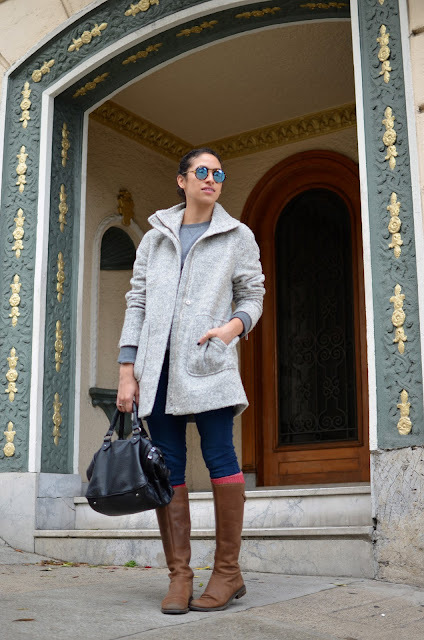 The boots, glasses, and perfectly grey coat! Love it! You look lovely! 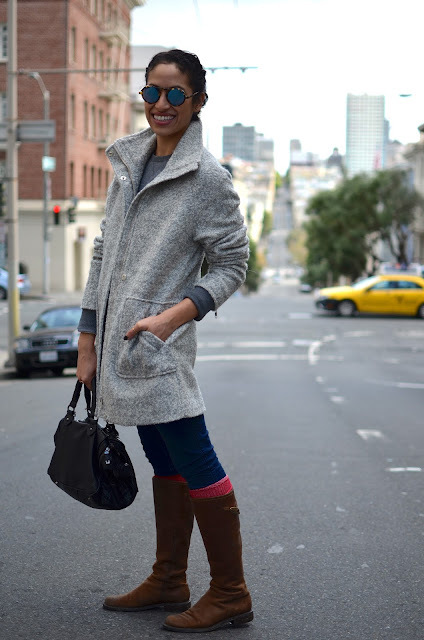 Those wide calf boots just make that outfit perfect! Definitely a lucky find. I remember that song, too. How 'bout Streets of Laredo?